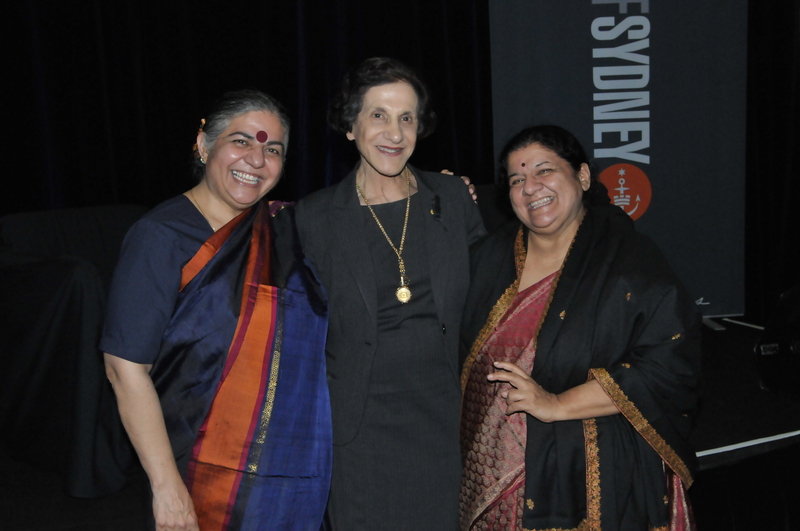 The 2010 Sydney Peace Prize was presented to Dr Shiva, courageous scientist, environmentalist and feminist, by environmentalist Tim Flannery, and Her Excellency Professor Marie Bashir AC, the Governor of New South Wales, at the McLaurin Hall, the University of Sydney. 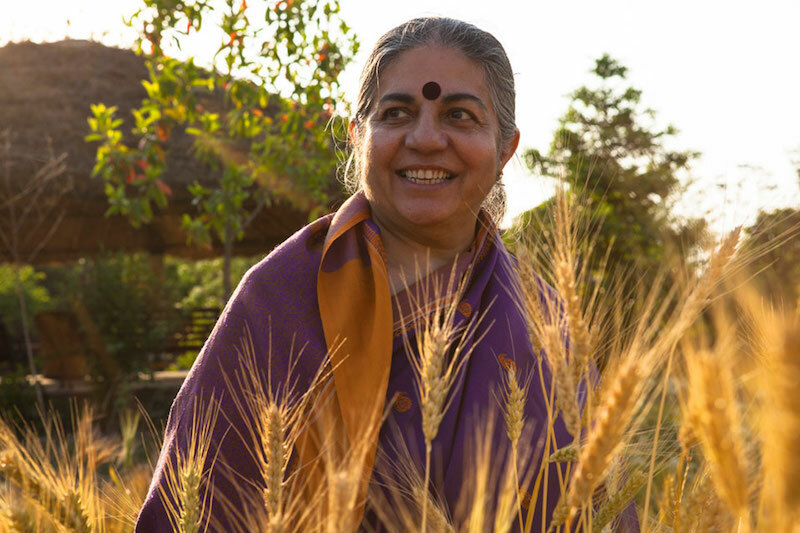 Born in 1952 to a father who was the conservator of forests and a farmer mother with a deep love for nature, Vandana Shiva received her first lessons on environment protection in the lap of the Himalayas. A student of St Mary’s School in Nainital and later of Convent of Jesus and Mary, Dehradun, she aspired to be a scientist. Dr Shiva trained as a physicist and did her Ph.D on the subject “Hidden Variables and Non-locality in Quantum Theory” at the University of Western Ontario. She later shifted to inter-disciplinary research in science, technology and environmental policy, which she carried out at the Indian Institute of Science and the Indian Institute of Management in Bangalore. 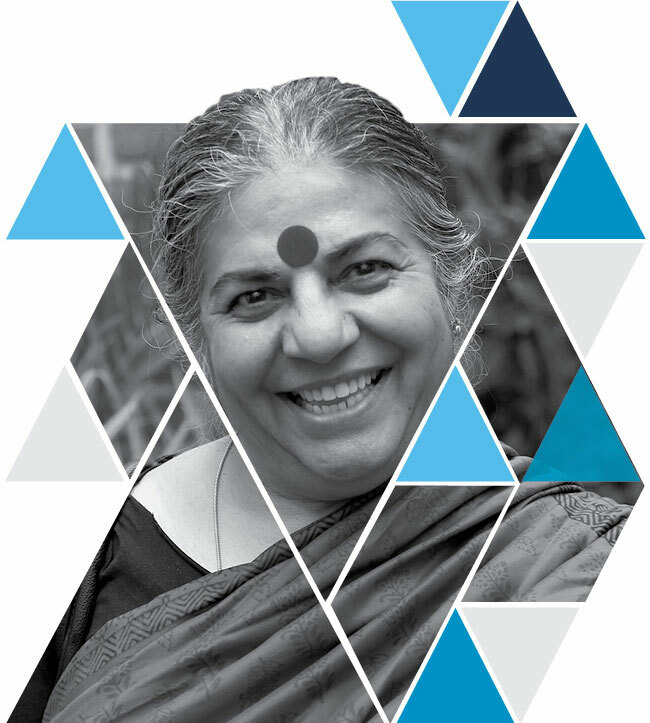 In 1982, she founded an independent institute, the Research Foundation for Science, Technology and Ecology, dedicated to high quality and independent research to address the most significant ecological and social issues of our times, in close partnership with local communities and social movements. 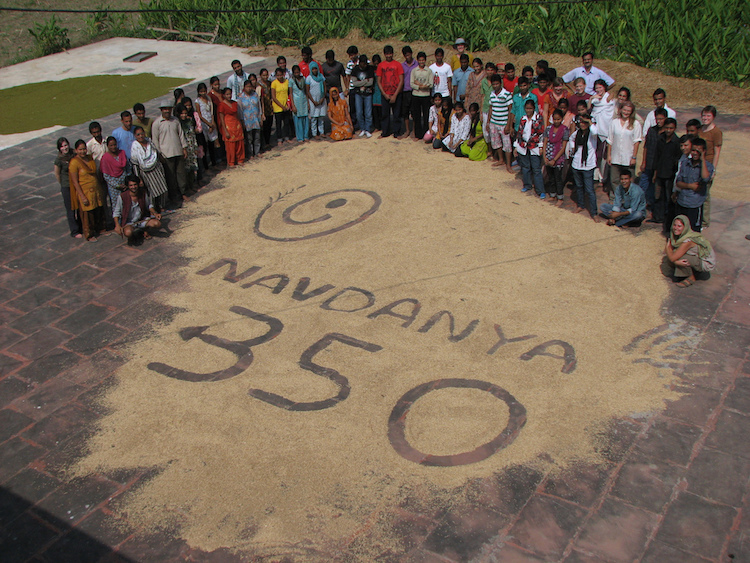 In 1991, she founded Navdanya, a national movement to protect the diversity and integrity of living resources, especially native seeds. It places the farmer at the center of conservation and empowers her/him to take control over the political, ecological and economic aspects of agriculture. If commerce starts to undermine life support, then commerce must stop, because life has to carry on. 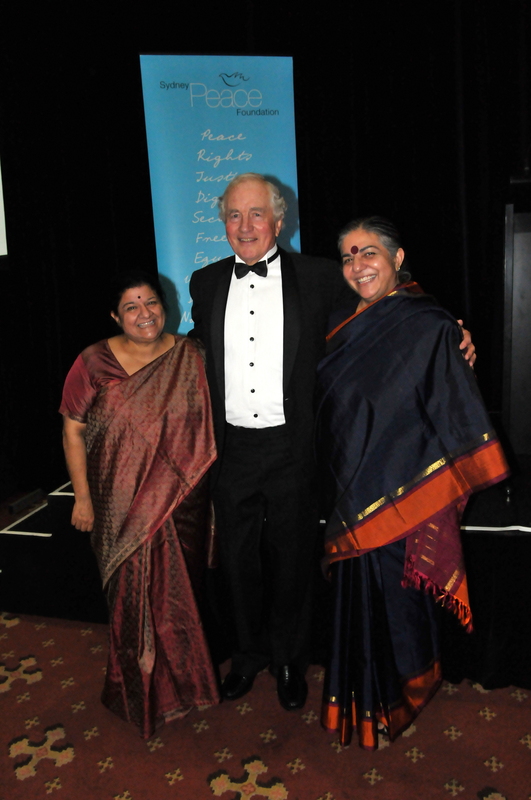 Dr Shiva delivered the City of Sydney Peace Prize Lecture in the Concert Hall at the Sydney Opera House. She spoke on “Making Peace with the Earth“, lambasting global corporations for waging war against nature in the name of profits. 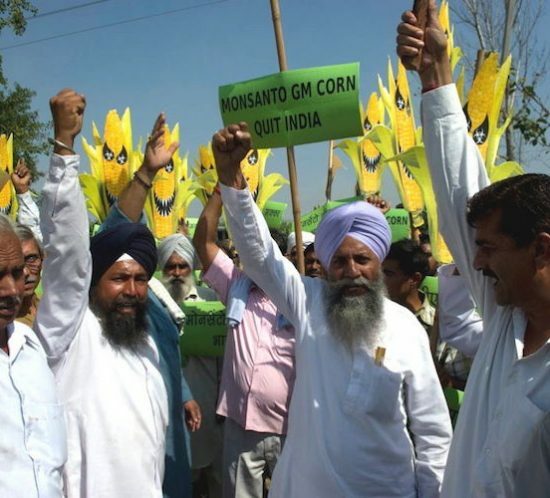 Dr. Shiva has contributed in fundamental ways to changing agriculture and food. 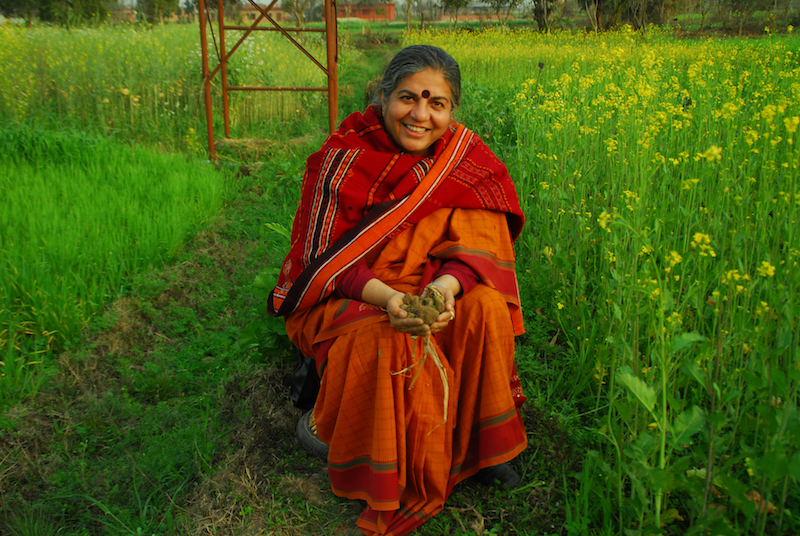 Her books, “The Violence of Green Revolution” and “Monocultures of the Mind” have become basic challenges to the dominant paradigm of non-sustainable, reductionist Green Revolution agriculture. Intellectual property rights (IPRs) and biodiversity are other areas where Dr. Shiva has contributed intellectually and through campaigns. 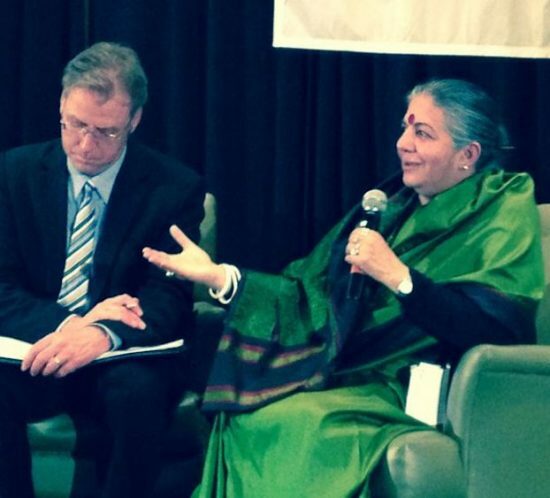 The Neem Campaign and Basmati Campaign are examples of her leadership in IPR and biopiracy issues. Besides her activism, she also serves on expert groups of government on IPR legislation. Biotechnology and genetic engineering are another dimension of Dr. Shiva’s campaigning internationally. She has helped movements in Africa, Asia, Latin America, Ireland, Switzerland and Austria with their campaigns against genetic engineering. Dr Shiva’s campaigns aimed at protecting bio diversity have insisted on stricter standards of bio ethics and have challenged so called advances in biotechnology and genetic engineering. She is regarded as a supporter of farming practices which enable small communities to be self sufficient and in this respect has been one of the significant leaders of the anti globalization movement. 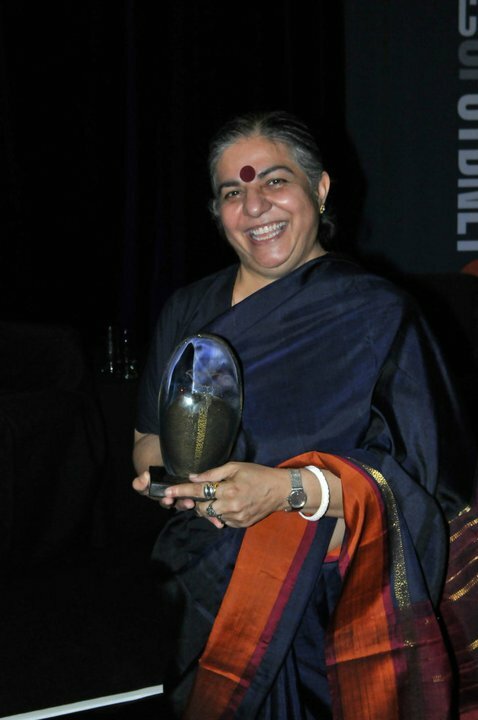 Dr. Shiva’s contributions to gender issues are nationally and internationally recognised. Her book, “Staying Alive” dramatically shifted perceptions of Third World women. 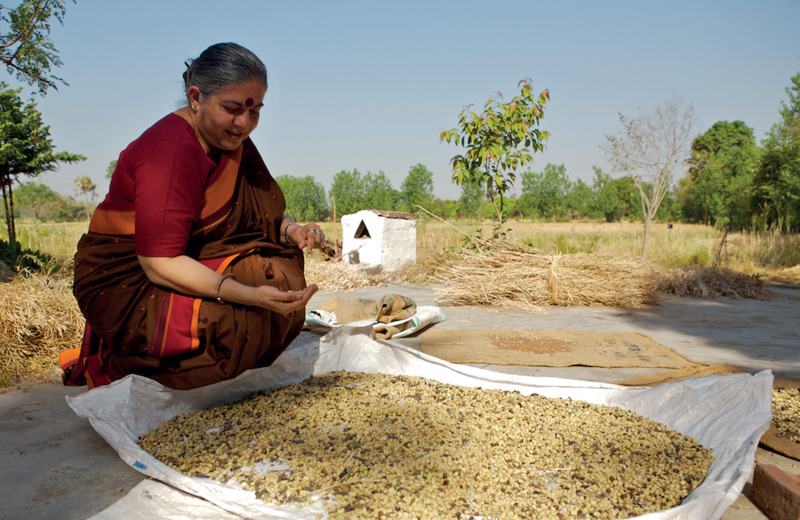 In 1990 she wrote a report for the FAO on Women and Agriculture entitled, “Most Farmers in India are Women”. She founded the gender unit at the International Centre for Mountain Development (ICIMOD) in Kathmandu. Dr Shiva suggests that a more sustainable and productive approach to agriculture can be achieved through reinstating a system of farming in India that is centered around engaging women. She advocates against the prevalent “patriarchal logic of exclusion,” claiming that a woman-focused system would change the current system in an extremely positive manner. In 1998 she initiated an international movement of women working on food, agriculture, patents and biotechnology called, Diverse Women for Diversity. Shiva has also served as an adviser to governments in India and abroad as well as non-governmental organisations, including the International Forum on Globalisation, the Women’s Environment & Development Organization and the Third World Network. 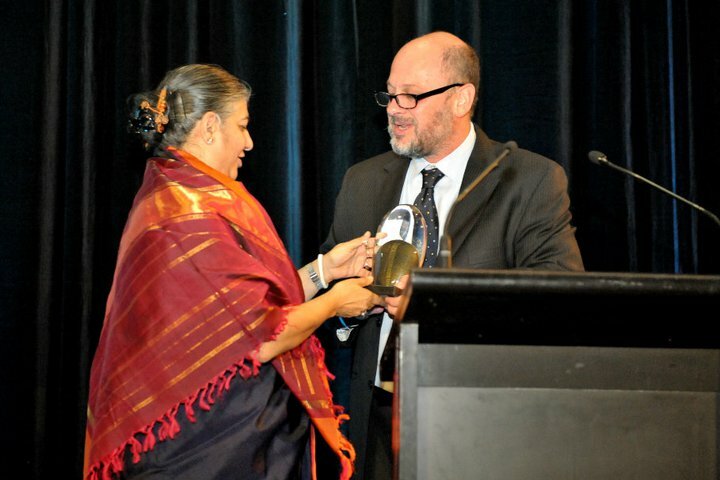 In 1993, Dr Shiva received the Right Livelihood Award (also known as the Alternative Nobel Prize) for “placing women and ecology at the heart of modern development discourse.” Other awards she has received include the Global 500 Award of the United Nations Environment Program (UNEP) in 1993, and the Earth Day International Award of the United Nations (UN) for her dedicated commitment to the preservation of the planet as demonstrated by her actions, leadership and by setting an example for the rest of the world. She has received additional awards from the Netherlands, India, Denmark, Spain, Thailand, Italy and Austria. 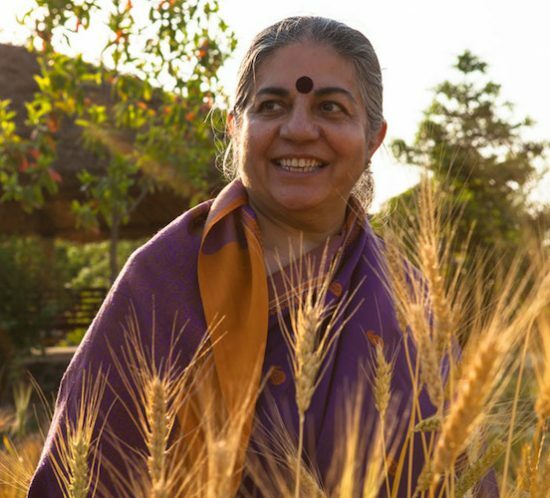 As well as being a physicist, philosopher, environmental activist and eco feminist, Dr Vandana Shiva is a celebrated author. When we think of wars in our times, our minds turn to Iraq and Afganistan. But, bigger war is the on-going war against the Earth. This war has its roots in an economy which fails to respect ecological and ethical limits – limits to inquality, limits to injustice, limits to greed and economic concentration. Humanity stands at a precipice. We have to make a choice. Will we obey the market laws of corporate greed or Gaia’s laws for maintenance of the earth’s ecosystems and the diversity of her beings?